Measuring 83m, Amels built Here Comes The Sun features an exterior design by Tim Heywood and interior style by Winch Design. As for the accommodation, there are 8 guest cabins on board and space for 27 crew. The six-decks yacht's key features include 5.5m swimming pool, 87 sqm beach club with a spa, 900 sqm of outside deck space and a garage capable of storing four jet skis and two 11m tenders. Here Comes The Sun is powered by twin Caterpillar engines 3,150hp each, providing her with a maximum speed of 17 knots. The superyacht has a maximum cruising range of 5,500 nautical miles when cruising at 15 knots. The 2013-built superyacht Solandge was launched at Lurssen. Her exterior design is the work of Espen Oeino, whilst Rodriguez Interiors and Dolker&Voges were responsible for the interior. The 85m superyacht boasts a number of unique areas to accommodate all needs, ranging from a large indoor movie theatre, to a vast main salon with bar, games room and seating areas. Solandge can sleep up to 12 guests in 7 staterooms, including a panoramic master deck featuring 180 degree windows, private dressing room, his and hers bathrooms and a private deck with spa pool. Allegedly owned by Shahid Khan, owner of the Fulham FC and of the Jacksonville Jaguars, the Kismet project has reportedly been brokered by Moran Yacht & Ship with the Lurssen shipyard. Her top speed is set to be of 17 knots. Kismet is a 95.20m luxury motor yacht with a beam of 13.80m and a draft of 3.80m. She can accommodate 12 guests in 6 cabins with an interior design by Reymond Langton and an exterior design by Espen Oeino. The fourth largest vessel in the world, Dilbar measures 156m. 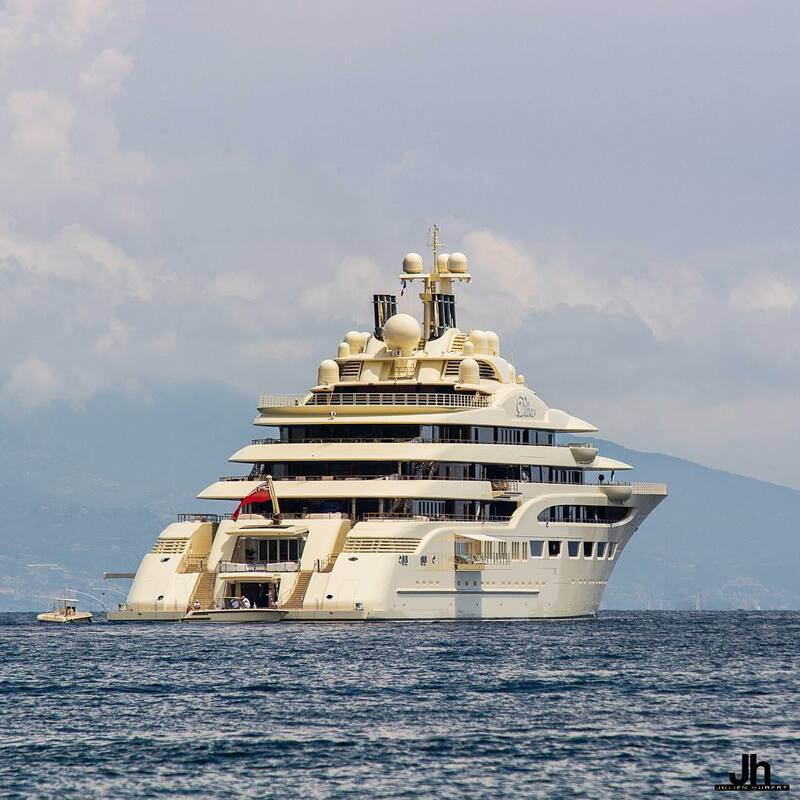 Launched by Lurssen in November 2015, the superyacht was built for Russian billionaire Alisher Usmanov. Her exterior design is by Espen Oeino with interiors by Andrew Winch.